On West Virginia Morning, a report from Lewis County where most of those attending a meeting spoke against the proposed Mountain Valley natural gas pipeline. And we’ll learn about Teach For America. A new law allows recruits from that organization to teach in the state’s classrooms. These stories on West Virginia Morning from West Virginia Public Broadcasting – telling West Virginia’s story. Click here to listen to West Virginia Morning Wednesday, May 13, 2015. West Virginians can have a say about the environmental impact of the proposed Mountain Valley Pipeline at four public meetings. EQT and its partners want to build a 42-inch diameter, 330-mile pipeline from Wetzel County in West Virginia to Pittsylvania, Virginia. On West Virginia Morning, West Virginia and West Virginia State universities are partnering with others to bring a presidential debate to Charleston in 2016. Ashton Marra has more about that. And Clark Davis previews tonight's Sweet 16 matchup between the Mountaineers and the Kentucky Wildcats. These stories on West Virginia Morning from West Virginia Public Broadcasting - telling West Virginia's story. 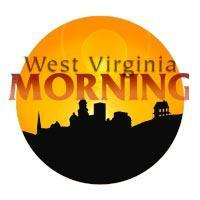 Click here to listen to West Virginia Morning Thursday, March 26, 2015.